Never leave your dog unattended while you shop. Keep your garden secure. 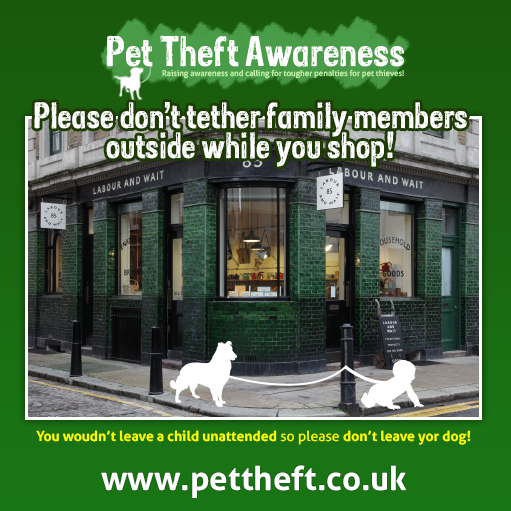 Over 50% of dogs stolen are stolen from gardens! Take regular photographs of your pets and be ready to use them. Microchip your dog, and keep details up to date. Ask your vet to check your dog's chip every time you visit. Ensure your horse passport photo is up to date. Visit your field or stable at irregular intervals. 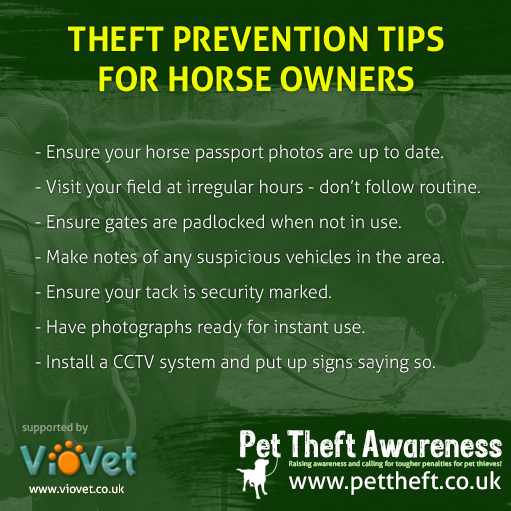 Ensure your tack and equipment is security marked. Seek legal advice before loaning out horses. If your dog or horse is microchipped, remember to report it as soon as you possibly can on Petlog. 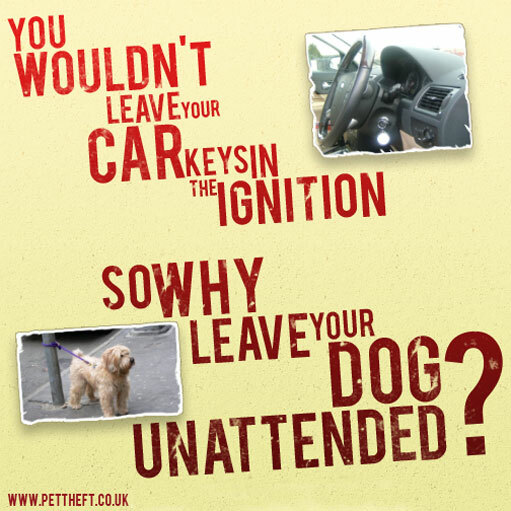 If your dog is snatched try to take photographs of any vehicles used in the crime. Write down as much info as you can straight away. Contact friends and start an immediate search of the area. Consider areas where you think thieves might take your dog. The quicker you act now the better the chance you have of getting back your pet. Put message out on Facebook including an image of your dog. Tell your friends to share. Tweet too. If you have not done already activate your dog's chip details on DogLost.co.uk and visit their site for help and information. It may also be helpful in install the doglost.co.uk android app for your phone or tablet. 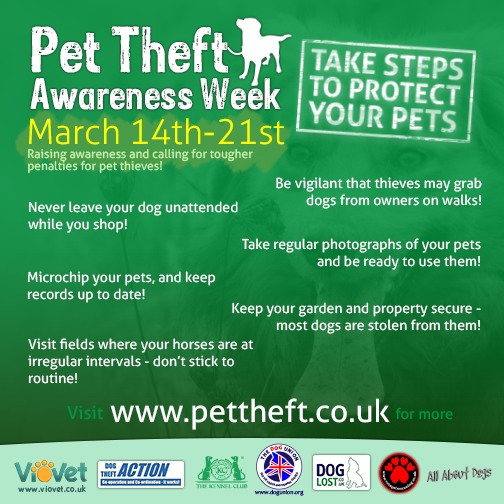 Put a poster up in your police station - maybe one of the police officers will see it and recognise your pet. Click here for a list of council dog wardens. 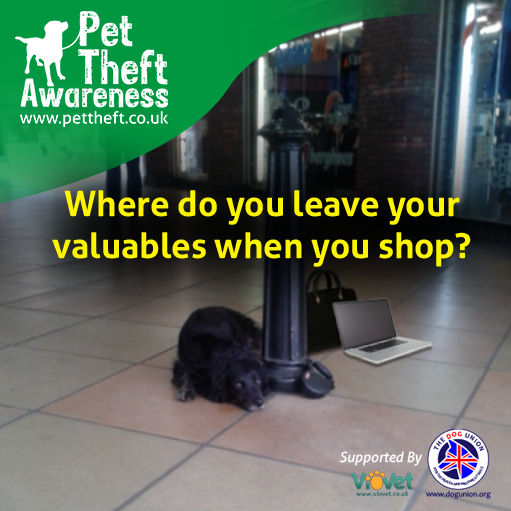 It is worth calling them as hopefully thieves might dump your dog if they are worried about getting caught. Post details on Petlog lost and found facebook here. Here is a collection of info-graphics we have used across social media and other supporting websites. Please feel free to download any of these to share on your social media channels!